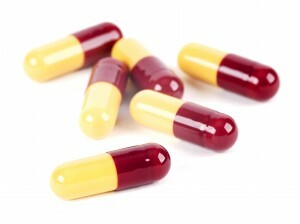 In regards to Adderall XR, the complaints specifically alleged that between January 2004 and December 2007, Shire claimed that Adderall XR was clinically superior to other ADHD drugs because it had the ability to “normalize” its recipients, rendering them indistinguishable from their unaffected peers. Shire also allegedly stated that the drugs produced by competitors could not achieve similar results. Both of these claims lacked clinical data to back them up. Shire also allegedly employed fraudulent marketing techniques in relation to Adderall XR by claiming that it would prevent poor academic performance, loss of employment, criminal behavior, traffic accidents and sexually transmitted disease. Inducing prescriptions that would ultimately be covered by government healthcare programs based on these fraudulent statements amounts to a false claim. Finally, the company allegedly promoted Adderall XR for the treatment of conduct disorder without approval from the FDA, predicating additional liability under the False Claims Act. In connection with Vyvanse, Shire sales representatives allegedly made false and misleading statements about the efficacy and “abuseability” of the drug to state Medicaid committees and individual physicians between February 2007 and September 2010. One Shire medical science liaison allegedly told a committee that Vyvanse “provides less abuse liability” than “every other long-acting release mechanism” on the market. Despite this claim, no study that Shire conducted had ever concluded that Vyvanse was not abuseable, and, as an amphetamine product, the Vyvanse label was required to include an FDA-mandated black box warning as to its potential for misuse and abuse. Shire sales representatives also allegedly made unfounded claims that treatment with Vyvanse would prevent car accidents, divorce, arrests, and unemployment. The settlement additionally resolves allegations that from April 2006 to September 2010, Shire representatives maintained that because Daytrana was administered through a patch, it was less abuseable than traditional ADHD medications coming in pill-form. Shire sales representatives also allegedly made phone calls and drafted letters in order to assist physicians with the prior authorization process for Medicaid prescriptions of Daytrana without disclosing that they were employed by Shire. Finally, the settlement resolves allegations that between January 2006 and June 2010, Shire sales representatives promoted Lialda and Pentasa for the prevention of colorectal cancer. Such an off-label use was not approved by the FDA and was therefore ineligible for reimbursement by government healthcare programs. Shire also allegedly marketed Lialda as having the ability to induce “complete remission” of mild to moderate ulcerative colitis despite a lack of clinical data sufficient to support such a claim. The qui tam provisions of the False Claims Act permit private parties with independent knowledge of fraud to file suit on behalf of the government and share in any recovery. In this case, Torres will receive $5.9 million of the settlement amount. The amount to be awarded to the other three relators has not yet been determined. Of the $56.5 million settlement, the federal government will receive $35,713,965, while state Medicaid programs will receive $20,786,034. Shire has also entered into a corporate integrity agreement with the U.S. Department of Health and Human Services-Office of the Inspector General to address the company’s marketing efforts going forward in exchange for avoiding exclusion from participation in Medicare, Medicaid, or other federal healthcare programs. Separately, Shire indicated that it will pay $2.9 million to resolve allegations in a civil complaint filed by the state of Louisiana claiming that some of the company’s marketing practices had violated provisions of state law.